I mean, there can’t have been THAT many ZEBRA CROSSINGS back when this photo was taken. The intervening years have seen our great city afflicted by what can only be described as an epidemic of ZEBRA CROSSINGS. Pedestrians continue to insist on walking around the city, often forming themselves into herds of marauding sheep, and they also continue to insist on crossing the road. Cars, and Taxis in particular, just aren’t given the respect they are due and have to play second fiddle to the great unwashed that are roaming around getting in the way of London’s best drivers. 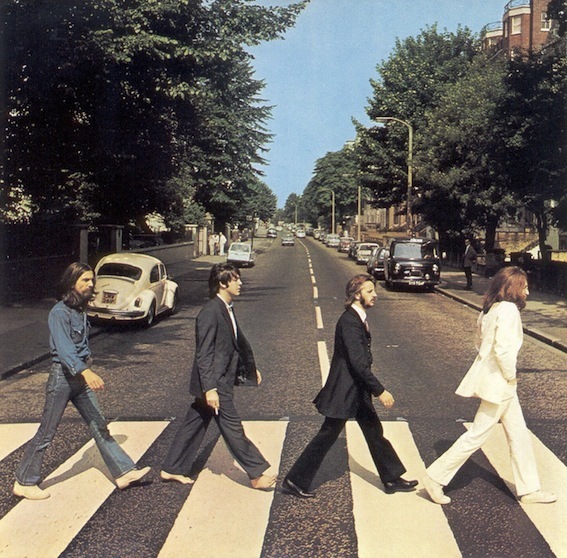 5th – Abbey Road – the temptation to mow a few tourists down is pretty difficult to contain at times, but your mood is often lifted by seeing some divs taking their iconic photo on the crossing further north by Abercorn Place. 4th – St Paul’s Churchyard (or is it still Ludgate Hill there??). I tolerate this crossing because of where it is. But only for the view. 3rd – Bow/Wellington/Russell St, Covent Garden. Yes, of course, right by the Royal Opera House, and a junction where cabs are are constantly trying to turn into the main flow of traffic. Let’s have a crossing where tourists, who don’t even know how the things work, loiter looking like they have barely evolved since the missing link. 2nd – Endell St/Bow St/Long Acre. Genius. Within a few hundred yards of our 3rd placed entry let’s have a new crossing right by another hugely busy junction that wasn’t perfect before but worked a hell of a lot better than the new “improvement”. 1st – Great Marlborough Street. In reality not that much traffic goes down this street, certainly not so much since the “dirty dozen” is closed off and most of Soho has just become a car park. But, if you are forced to travel down there at pretty much any time of the day or night, you just know you are going to be stopped at this crossing FOREVER, only to finally get moving once your previously pre-school children have left home. Yes, yes I hear you all cry, you cabbies aren’t the most important thing in London. Ha! Well I’ll have you know, I can find at least 25,000 others that will agree with me……..
Really WOW. Thank you for breaking it up into a short come one…. I don’t think I could’ve handled it all in one. A fine display of type, indeed. Thank you for your efforts compiling and posting. Have you ever thought cities are for people? Not for cars? Or cabbies? Walking in London is bad enough, given the number of crossings that force people on foot into ‘cattle pens’ or wait at 2-3 different sets of lights just to cross one road. Most drivers also ignore the crossings around Trafalgar Square, waiting (illegally) over the crossing making it impossible to cross with my wheelchair. Also last time I checked, I have priority at a zebra crossing – routinely ignored nowadays. Oh dear Mr Oulton, it seems you failed to see my tongue firmly in my cheek when writing this. Great Marlborough Street named in honour of John Churchill, 1st Duke of Marlborough, is probably the slowest road in London for the pedestrian crossing outside Liberty’s is in constant used by the dopey c*ws wandering out from the cosmetics department there, still it gives you the time to look at the famous store with its façade constructed from the timbers of the Navy’s last two wooden warships, HMS Impregnable and HMS Hindustan. As a footnote Marlboro cigarettes take their name from the street which in the late 19th century the Philip Morris Company’s factory was situated. There I’m glad I got that off my chest. if you like that sort of thing….